Seriously ... You're right. The arm position speaks of course for a higher status, in direction queen / princess. There is nothing in KV 55 that cannot argues that IF Akhenaten's funereal equipment exists in that tomb (and it's rather incomplete at that), that it could NOT have been reutilised for a 20-23 male royal inhabitant, who is a direct son of Amenhotep III and Tiye and still NOT be Akhenaten. Even Ramses II was reburied in a plain wooden coffin, and yet no one doubts the docket tags that say he is who he is, mainly because the anatomical examinations confirm it (Balout and Roubet, 1985). My point is that there are two separate finds here: A) the remains which are those of a 20-23 year old male at death, who is directly related to Amenhotep III and Tiye, and who may be the ephemeral king Ankhkheperure Smenkhkare Djeser Kheperu. B) There is a find of a coffin and other funereal equipment, including 2 magic bricks, which carry the name of Akhenaten. There is no sarcophagus that goes with said coffin, there is reused canopic equipment belonging to Kiya, and the body has been rewrapped and placed in an altered coffin, that appears to have been originally made for Akhenaten. Whatever you wish to make of these items, you cannot argue it is a complete burial for one person. It is reused and reutilised equipment for another person. So, you can argue what the funereal equipment means, but you MUST note that said equipment has been altered and a body laid within an altered coffin: it does NOT follow that said body within the altered coffin MUST be Akhenaten. Biologically, the age is wrong and to date, no medical evidence has been submitted to alter that fact. Allen, J. P.1994. Nefertiti and Smenkh-ka-re. Göttinger Miszellen 141: 7-17. Ayrton, E. R. 1990 (1910). The Excavation of the Tomb of Queen Tiyi: 1907. 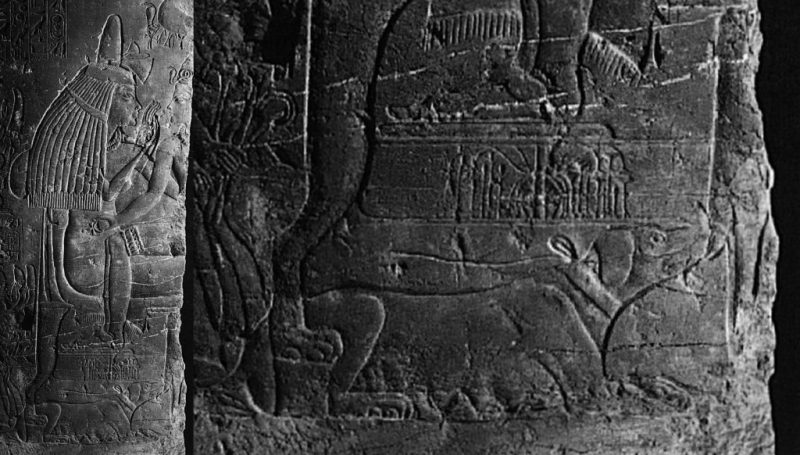 In T. M. Davis, Ed., The Tomb of Queen Tiyi: 18 - 21. San Francisco: KMT Communications. Bell, M. R.1990. An Armchair Excavation of KV 55. JARCE 27: 97-137. Derry, D. E.1931. Notes on the Skeleton hitherto believed to be that of King Akhenaten. ASAE 31: 115-9. Engelbach, R.1931. The So-called Coffin of Akhenaten. ASAE 31: 98-114. Fairman, H. W.1961. Once Again the So-called Coffin of Akhenaten. JEA 47: 25-40. Filer, J.2000. The KV 55 body: the facts. Egyptian Archaeology 17/Autumn: 13-4. Grimm, A. and S. Schoske, Eds. 2001. Das Geheimnis des goldenen Sarges. Echnaton und das Ende der Amarnazeit. 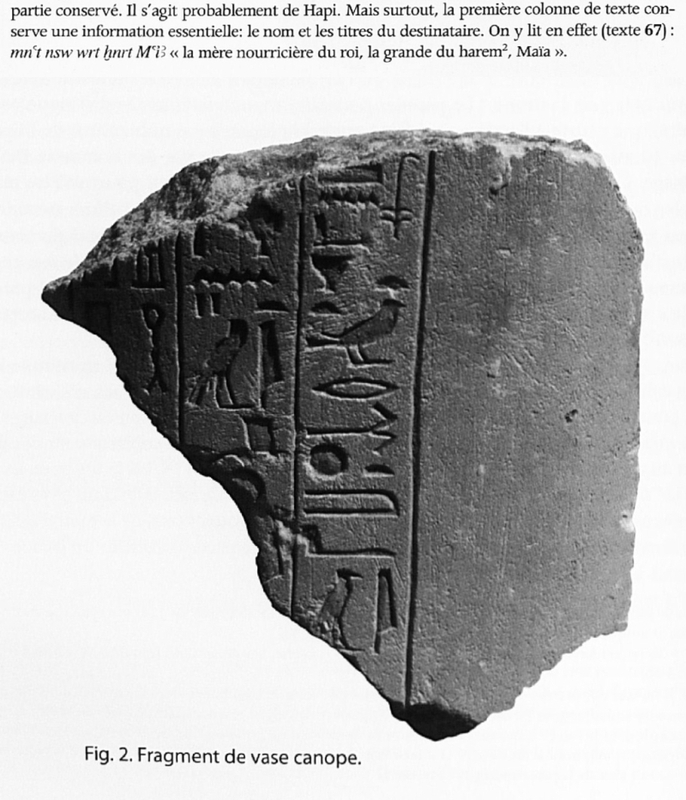 Schriften aus der Ägyptischen Sammlung (SAS) 10. Munich: Staatlichens Museum Ägyptischer Kunst. Harrison, R. G.1966. An Anatomical Examination of the Pharaonic Remains Purported to be Akhenaten. JEA 52: 95-119. Helck, W. 2001. Das Grab Nr. 55 im Königsgräbertal. Seine Inhalt und seine historische Bedeutung. Sonderschrift/Deustches Archäologisches Institut Abteilung Kairo 29. Mainz: von Zabern. Maspero, G. 1908. New Light on Ancient Egypt. E. Lee. London: T. Fisher Unwin. Perepelkin, G. 1978. The Secret of the Gold Coffin. Moscow: Nauka Publishing House/USSR Academy of Sciences. Pinch-Brock, L. 2000. An Unpublished Photograph of the KV 55 Chamber. Göttinger Miszellen 175: 65-9. Strouhal, E. 2010. Biological age of skeletonized mummy from Tomb KV 55 at Thebes. Anthropologie: International Journal of the Science of Man 48/1: 97-112. Wilson, J. A. 1976. Mrs. Andrews and the 'Tomb of Queen Tiyi.' In, Studies in Honor of George R. Hughes. January 12, 1977: 273-9. Studies in Ancient Oriental Civilization, SAOC 39. Chicago: Oriental Institute. Balout, L. and C. Roubet, Eds. 1985. La Momie de Ramsès II: Contribution Scientifique a l'Egyptologie. 1976-1977. Paris: Éditions Recherche sur les Civilisations/Muséum National d'Histoire Naturelle/Musée de l'Homme. That we do not agree in determining the age is known. This will not change probably until further notice. You founded your view on several occasions, as I have done with mine. I think we should leave it this way and am frankly tired of repeating me over and over again (research university Dresden on medieval cemeteries, and so on...). Exactly, there is an inscription that identifies his mummy (Ramses II), even though he obviously lies in a coffin which was prepared not for him. The DNA suggests that KV21A is the likeliest candidate to be the mother of Tut's children. She herself is a member of the Royal dynasty but not a daughter of Akhenaten. Than who is she? How could a royal second wife of Tut who almost gave him two children not be mentioned in his tomb while his Great Royal Wife is. Even some items from her sister Meritaten are in his grave. 2 Achesenamun is not Anchesenpaaten daughter of Akhenaten and Nefertiti but someone else (she would still be related to the Royal Family but in a different way). Or 3. Nefertiti had an affair and Anchesenamun was never Akhenaten's daughter. Maia's tomb, if she is indeed Meritaten herself, is key for understanding this period in Egyptian history. She loses her royal titles and the tomb fails to mention Nefertiti her mother or Akhenaten her alleged father? Something fishy and weird happened with that family. For example in case she died (years) before him. Maybe in childbed? Zivie notices that the different spellings of Maïa's name can points up to a nickname but, before embrace Meritaten's hypothesis, he sugested that it could be a diminutive of Mut. If we consider to include a Mut theophoric name, why not think about Mutbenret or Mutemnebut instead?